We've got a busy show planned this Sunday when Frank Sesno, director of The George Washington University's School of Media and Public Affairs, joins us once again as our 'Reliable Sources' guest host. With the devastating Philippines typhoon aftermath, continued fallout after the 60 Minutes/Benghazi apology, plus Obamacare woes here at home, we'll take a look at how these stories (and more) have competed for media attention this week. In the meantime, here are some other items that caught our show team's eye- sign off in the comments and tell us what you're reading this week! Russian President Vladimir Putin is known for being unpredictable. And in a Washington Post piece this week, Max Fisher writes that South Korean journalists aren't too pleased amid his latest trip to the country. 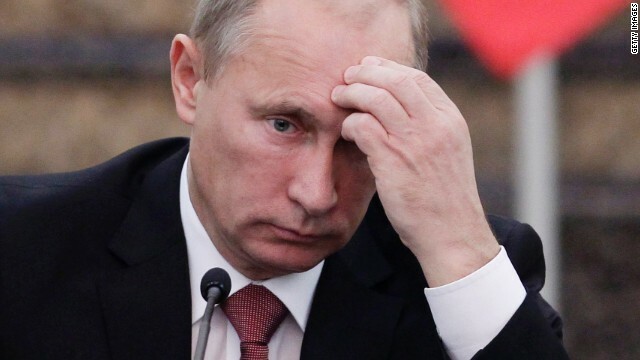 Referencing articles in several South Korean media outlets, he notes that Putin's tardiness to events & last-minute schedule changes have been carefully documented by some journalists, some even calling Putin's actions 'insulting.' Beyond this, Fisher posits that even these minor acts could have larger impacts on Russian, Mideast and Western foreign policy relations. Justin Chambers, meteorologist for Colorado Springs Fox affiliate KXRM, knows what it's like to have his software crash at the last minute. So on Wednesday morning, after he tweeted a photo of his blank/non-functional weather monitor, he put his improvisational skills to use once again. Using everything from dancing and iPads to pantomiming weather patterns, Chambers proved once again that when it comes to the weather, no technical glitch can prevent him from bringing viewers the forecast. Fox News reporter Jana Winter is the latest journalist facing legal repercussions for refusing to identify her sources on a story she wrote about Aurora, CO movie theater shooting suspect James Holmes in 2012. The upcoming New York Court of Appeals decision on whether Winter will be forced to testify & identify her sources on that story (or face jail) could have far-reaching consequences for journalists nationwide. This week's Business Insider piece highlights differences in New York/Colorado's shield laws (meant to protect journalists from being compelled to testify), but notes that with laws differing by state, Winter's case could set important precedent for other reporters & their confidential sources.